First, a big thank-you to all our fans who came out to see us in our debut at Funk Brewing Co. in Elizabethtown. Thanks in great part to you, we'll be back there soon. Date still to be announced. In the meantime, you can catch us this Friday at Prudhomme's Lost Cajun Kitchen in Columbia, where we'll be making our regular Fourth Friday appearance. As always, there's no cover, no minimum - just Cajun food to die for, a wide selection of drinks, and tons of tunes from 7-10 p.m. More on Prudhomme's at www.lostcajunkitchen.com. Hope to see you there. And there. Directions: Set your GPS to 50 Lancaster Ave., Columbia, or get on Route 462 West from Lancaster or East from York and take it into downtown Columbia. Stop when you get to Cherry Street. You're there! Still lost? Call (717) 684-1706. Friday, April 1, Lancaster Dental Arts for First Friday in Lancaster, 6-8:45 p.m.
Friday, April 8, Prudhomme's Lost Cajun Kitchen, 7-10 p.m.
Wednesday, April 13, Lititz Library, 7-8 p.m.
Friday, April 15, Building 24, 6-9 p.m. The Ragtime Willi Band will tackle its second new venue in less than a week this Thursday evening with our first-ever appearance at the Funk Brewing Co. in Elizabethtown for a special - make that very special - Saint Patrick's Day celebration. We'll be following our longtime friends Tom & Laurie Reese as part of a daylong celebration that includes beer and food specials, plus music from The Tom Reese Duo from 4-7 p.m. and The Ragtime Willi Band from 8-11 p.m. There's no cover and no minimum. Just music, beer and grub galore. For more on Funk Brewing Co., go to www.facebook.com/funkbrewingEtown/. Then on Friday evening we'll be back at Porch Restaurant in Myerstown for another evening of original and public domain tunes in the pub. As always, music will start at 8 and go until 11. And again, it's no cover, no minimum. Just fun, fun, fun - and great food from the Porch's very own Chef Joe. For more info go to www.porchrestaurant.com/. Funk Brewing Co.: Set your GPS for 28 S. Market St., Elizabethtown, PA, or take Route 230 East or West into Elizabethtown, where it becomes Market Street. Head downtown to 28 S. Market St., just off the main square, right next door to the Pita Pit. Still lost? Call (717) 366-4352. Porch Restaurant: Set your GPS for 890 Tulpohocken Road, Myerstown, or find Route 422 East or West and take it to Millardsville Road, just east of Myerstown. Head south on Millardsville Road until you come to Tulpohocken Road. Porch Restaurant will be just ahead on your right. Still lost? Call (717) 866-2200. Friday, March 25, Prudhomme's Lost Cajun Kitchen, 7-10 p.m. The Ragtime Willi Band is back in action after a week off, starting with our regular Second Friday trip to Prudhomme's Lost Cajun Kitchen in Columbia for a night of Louisiana cookin' and spicy tunes to match. Music starts at 7 and goes until 10. Check out the menu and more at www.lostcajunkitchen.com. Then on Saturday night we'll be performing our first gig ever at Highland Pizzeria in the Shoppes at Landis Valley, just off Route 272 in Manheim Township, where the pizza is scrumptious and the beer selection will have you reeling. Never been? Check it out at www.facebook.com/highlandpizzerialanc. Then check it out in person. Music runs from 7:30 to 10:30 p.m.
Not up for a night out on the town? No problem - we deliver! The Ragtime Willi Band is available for house parties of all types, and our rates are good. Interested? Just go on our website or email us at [email protected] But hurry - open dates are disappearing fast. Been wondering when we'll be back at Saint Peter's Bakery? Well, wonder no more. The Ragtime Willi Band will return this Friday to the home of great grub, crazy-good coffee, and artisan pizza to die for - all in an atmosphere so homey you wish it was your home. As always, there's no cover, no minimum - and it's BYOB. Now that's a deal. Music runs from 7-9 p.m. Reservations recommended. More on The Bakery at www.SaintPetersBakery.com. Directions: Set your GPS for 3441 Saint Peters Road, Saint Peters, or take Route 23 west from Route 100 or east from just about anywhere else on the planet, then turn right onto Saint Peter's Road and head toward Saint Peter's Village. The Bakery is about a mile up the road on the left. Still lost? Call 610-469-7501. Friday, March 26, Prudhomme's Lost Cajun Kitchen, 7-9 p.m.
Saturday, March 12, Highland Pizzeria, 8-11 p.m.
Thursday, March 17, Funk Brewing Co., 8-11 p.m.
Friday, March 18, Porch Restaurant, 8-11 p.m.
Been wondering where we’ve been? So have we. But the mystery ends this Friday evening when The Ragtime Willi Band descends upon Building 24 in Wyomissing for an evening of Mardi Gras tunes the likes of which you’ll never forget. “Louisiana Saturday Night,” “Don’t Mess with My Toot Toot” - these and more will fill the hours of 6:30-9:30 p.m., along with a special Mardi Gras menu put together by our friends at Building 24. There’s no cover, no minimum. So break out the beads and join the fun. More on Building 24 at Bldg24.com. Our Mardi Gras tour then continues next Tuesday - aka Fat Tuesday - February 9th, at the Mardi Gras Bayou Blast at Prudhomme’s Lost Cajun Kitchen in Columbia. The show includes a Big Bayou Buffet, beads galore, prizes and raffles, king cake, a choice of 1 Hurricane or Grenade, and a hat contest - plus 3 hours of music from The Ragtime Willi Band, starting at 6 p.m. Tickets are $20. Reservations recommended. For more info, go to www.lostcajunkitchen.com or call 717-684-1706. Building 24: Set your GPS to 115 Bern Road, Wyomissing, or take Route 422 East or West to Wyomissing, then turn left (from the west) or right (from the East) onto North Trent Avenue. You'll be looking at Building 24 when North Trent tees at Bern Road. If all else fails, call (610) 375-2700. Prudhomme’s: Set your GPS to 50 Lancaster Ave., Columbia, or get on Route 462 west from Lancaster or east from York and take it into downtown Columbia. Stop when you get to Cherry Street. You're there! Still lost? Call (717) 684-1706. Friday, February 12th, Prudhomme’s Lost Cajun Kitchen, 7-10 p.m.
Sunday, February 14th, Moon Dancer Winery, 2-5 p.m.
Friday, February 19th, Saint Peter’s Bakery, 7-9 p.m. The Ragtime Willi Band will head to the river towns for a two-gig tour this coming weekend. On Friday, we'll be at Prudhomme's Lost Cajun Kitchen in Columbia for a three-hour bout of funky-folk tunes starting at 7 p.m. So come on out and enjoy some great down-home food and drinks, and lots of music, of course. As always, there's no cover, no minimum. More on Prudhomme's at www.LostCajunKitchen.com. Then on Sunday, we'll return to Moon Dancer Winery & Cider House near Wrightsville from 2-5 p.m. As always, the wine will be chilled and the pizza oven fired-up. And again, it's no cover, no minimum - nothing to stop you from enjoying a relaxing Sunday afternoon with The Ragtime Willi Band. Plus, weather-permitting, we'll be outside on the patio. More on Moon Dancer at www.MoonDancerWinery.com. Or maybe you'd rather see us closer to home - like at your house. 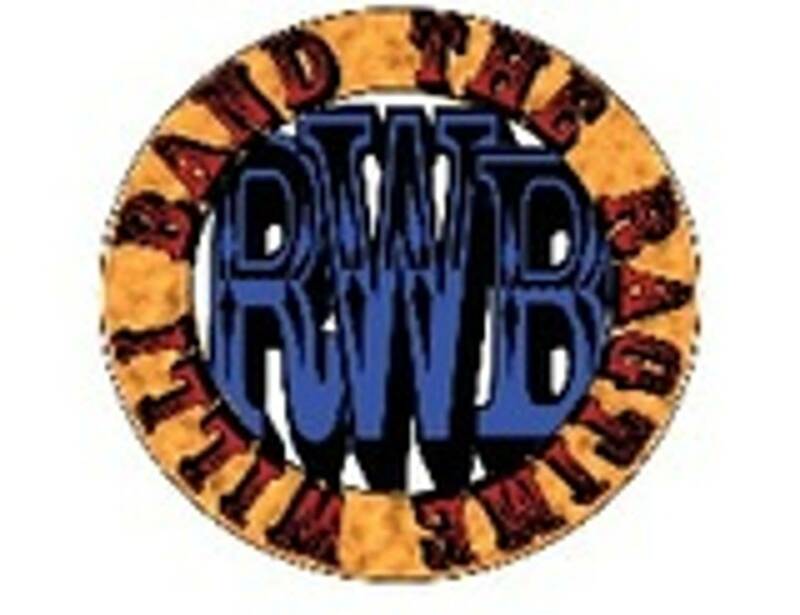 The Ragtime Willi Band is available for parties of all types, and our rates are good. Interested? Just go on our website or email us at [email protected] But hurry - the holidays are almost here. Prudhomme's Lost Cajun Kitchen: Set your GPS to 50 Lancaster Ave., Columbia, or get on Route 462 west from Lancaster or east from York and take it into downtown Columbia. Stop when you get to Cherry Street. You're there! Still lost? Call (717) 684-1706. Moon Dancer Winery & Cider House: Set your GPS unit to 1282 Klines Run Road, Wrightsville, or get yourself onto Route 30 and head west or east to the Wrightsville exit. Then head south on Cool Creek Road across Route 462 and past the Country Club. Turn left onto Knights View Road when you get to the top of the hill by the high school, then right onto Trinity Church Road and right onto Klines Run Road. You'll see Moon Dancer's driveway shortly after you make the turn. Still lost? Call (717) 252-9463. Friday, October 23rd, Building 24, 6-9 p.m.
Monday, October 26th, JoBoy's Brew Pub, 6-9 p.m.
Friday, October 30th, Saint Peter's Bakery, 7-9 p.m. The Ragtime Willi Band will be heading back to Cajun country this Friday evening with our return to Pruhomme's Lost Cajun Kitchen in Columbia. Yes, the catfish - blackened, of course - will be jumping - onto your plates, of course - and the tunes will be flowing as fast as the drinks. Music runs from 7-10 p.m., and, as always, there's no cover, no minimum. For more on Prudhomme's go to www.lostcajunkitchen.com. Then it's back to JoBoy's Brew Pub in Lititz on Monday evening for yet another BrewGrass Night. And you know what that means: Tons of homemade beer and barbecue, as well as other fine entries and wines from area vineyards. Once again, there's no cover, no minimum. Music kicks off at 6 and goes until 9. More on JoBoy's at www.JoboysBrewPub.com. JoBoy’s Brew Pub: Set your GPS to 27 E. Main St., Lititz, or take Route 501 into Lititz, then turn east onto Main Street. Or take Route 222 to the Brownstown exit, then follow Route 772 into Lititz. You'll see JoBoy's just before you hit the main square. Still lost? Call (717) 568-8330. Friday, October 2nd, Art & Glassworks for First Friday in Lancaster, 7-10 p.m.
Saturday, October 3rd, Hidden Treasures for Lancaster Art Walk, noon-3 p.m.
Saturday, October 10th, White Horse Mill Antiques, 1-4 p.m. The Ragtime Willi Band will make its first - and last- summertime appearance at The Vineyard at Grandview in Mount Joy this Friday evening. Music starts at 6 and goes until 8:30, and, weather permitting, we'll be out on the deck overlooking the vineyards. So come on out and savor some fine wine and funky-folk tunes. Tickets are $7. For more on The Vineyard at Grandview, check out www.thevineyardatgrandview.com. Then it's time to let the shopping begin, as we return to White Horse Mill Antiques near Gap on Saturday afternoon for three hours of musical mirth starting at 1 p.m. If you haven't been to the Mill yet, treat yourself. It's a combination of arts, crafts, antiques, and reusables like you've never seen before. And there's us! For more on the Mill, check out www.whitehorsemill.com. Vineyard at Grandview: Set your GPS to 1489 Grandview Road, Mount Joy, or take Route 283 to the Rheems/Elizabethtown exit. Head north (toward Milton Grove) on Cloverleaf Road, then turn right onto Mount Pleasant Road, then left onto Grandview Road. Still lost? Call (717) 653-4825. White Horse Mill Antiques: Set your GPS to 107 West Cambridge Road, White Horse, PA, or take Route 340 east out of Lancaster or west from Chester County to White Horse, then head north on West Cambridge Road. White Horse Mill Antiques is just around the corner on your right. Still lost? Call (717) 768-0960. Saturday, September 12th, Party for the Hell of It, 1 p.m.-? Monday, September 14th, JoBoy's Brew Pub, 6-9 p.m.
Friday, September 18th, Shank's Tavern, 6-9 p.m.